to be released in 2019: "Tokyo at Night"
Second album due to be released in 2019, containing night images of Tokyo. 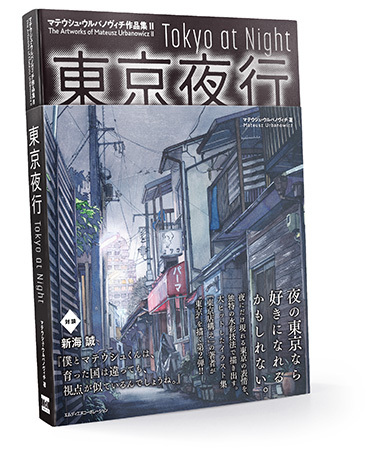 My second album (after "Tokyo Storefronts") due to be released in 2019, containing night images of Tokyo painted in watercolors! I'm still working on this book, follow me on Instagram to see the progress! Title in English: "Tokyo at Night"
This album was inspired by the original “Tokyo at Night” series of watercolor illustrations I finished in 2018 but consists of entirely new works made especially for this book. 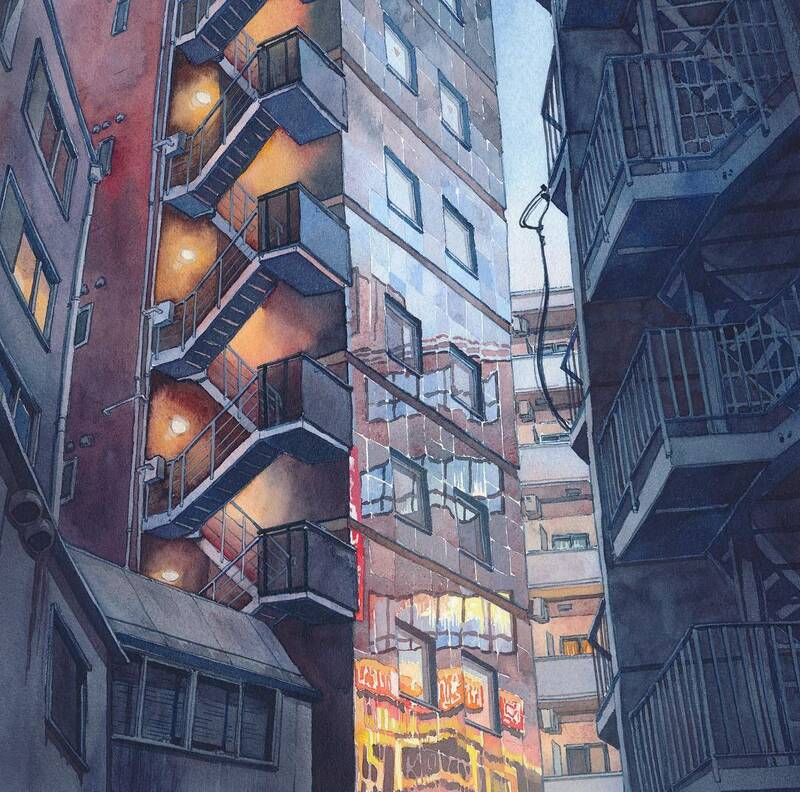 Comprising of dark and moody, futuristic but also slightly nostalgic images of night Tokyo this book challenges the image of what can be painted with watercolors! Inspired by the atmosphere of the traditional Japanese “hanga” woodblock prints the paintings explore the deepest shadows of night Tokyo, brightly lit neon signs, reflections in glass skyscrapers and much more. The whole book will be bilingual - it will feature English and Japanese texts side-by-side.